At The End Of The Day.....It Gets Dark! 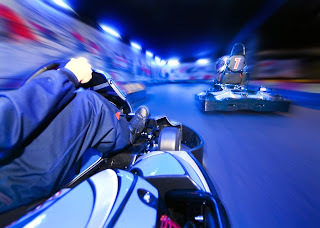 In previous posts you have heard me bang on about stag activities including Rage Buggies, Paintball, White Water Rafting as they are great things to do in the day, but what about the night time? The stag weekend without a big night out or two wouldn't be a stag weekend, it would be more like an activity weekend on the Isle of Man. The night life on a stag do is the icing on the cake, the jam in the donut, the cream - I must eat before I write next time! In most major popular stag destinations there's the lap dancing club. No more are they seedy and pushy but more like a club with girls walking around with very little on, and if you cross their palm with gold that little bit of clothing seems to disappear. If you prefer to laugh then a comedy club should be on your itinerary, with or without food this is a fantastic night out and will keep the boys together rather then loosing them in bars. 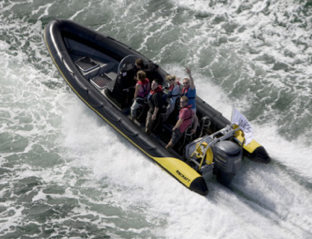 Get onboard a RIB and thrash across the Solent to the Isle of Wight for lunch. The instructors have a saying “the rougher the better” as these RIBS can cope with mountainous waves in complete safety, cutting through the waves like a hot knife in Nutella. This stag activity is fantastic fun and if you are looking for something unique and a little different to the Norm you cannot go wrong. All specialised clothing is included including your boyancy aids, all you need to bring with you is pumps, a waterproof top if you have one and plenty of suncream. Full wet weather gear is provided should the rain clouds make a visit however, I am sure you won't care after your first donut! What is a RIB I hear you say? RIB's stands for Rigid Inflatable Boat, not Rubber Inflatable Boats as some people might think, I know I did!